Quick! Before the stores swap out everything for Easter stuff, go grab yourself some red-tinted and heart-shaped boxes of goodies for less than you'd usually spend! And with the money you saved on that candy, you can go get yourself some new terrain for your gaming table. 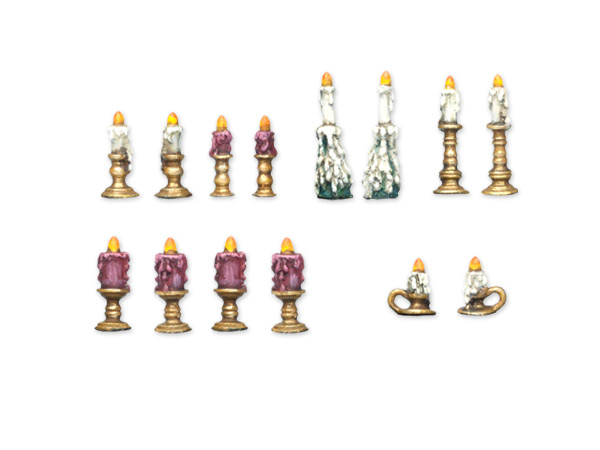 Today in the Terrain Corner we have: Heroic Maps - Day & Night: The Temple of Love Now Available, Candleholder set and kit Available From Tabletop-Art, and Deadland Gaming Mat Available From Pwork Wargame. Long ago this temple was resplendent in it's finery, and tended by a group of priests and priestesses. The spring that wells up here was known for the effect it had on people, and it wasn't long before it was worshipped, and then became the home of a goddess of love. Centuries past, and the temple fell to ruin, but the potent magic remains. At night the water glows with positive and beautiful energies, and fairies and other fey creatures gather from miles around.. 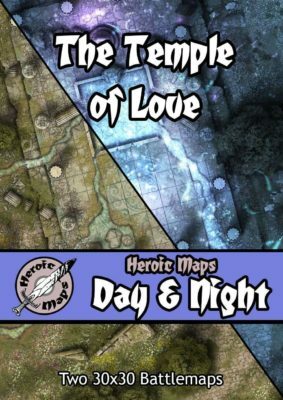 The Temple of Love is a printable battemap compatible with any RPG game. 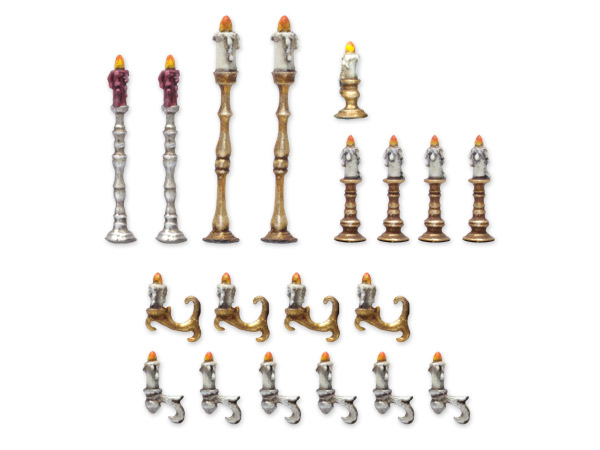 It can be used as a standalone gameboard, or combined with any same-scale tileset. 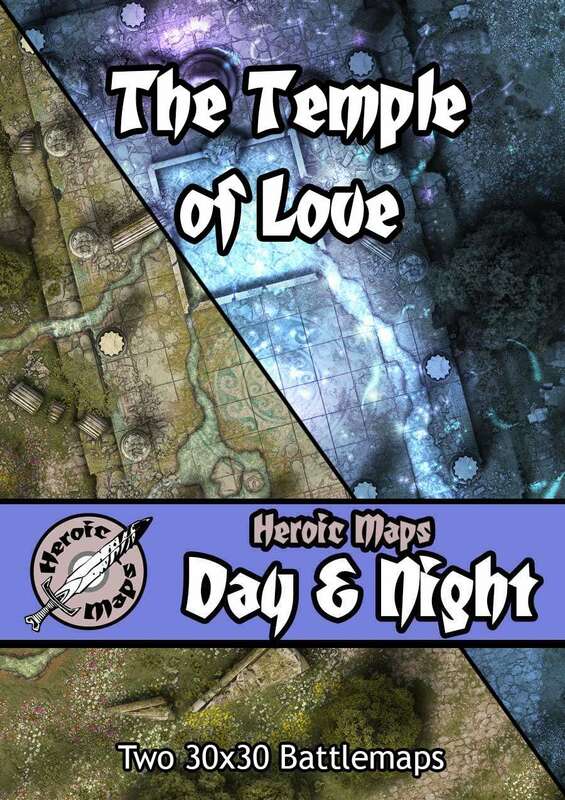 The Temple of Love is a day & night set, comprising of 2 30x30 battlemaps. The daytime map features a large Greek-style temple in the woods, with crumbled and broken statues and columns. Moss and plants have begun to encroach over the fallen temple, and flowers adorn the clearing. A pool at the centre, fed by the spring, overflows where falling stones have smashed the retaining wall, and the clear water flows across the area. At night the water and temple are awash with magical energy, and glow pink and blue. Fairies and sprites gather around, drawn by the magic of love. The pack includes an A4 pdf document with 300dpi versions of each map. 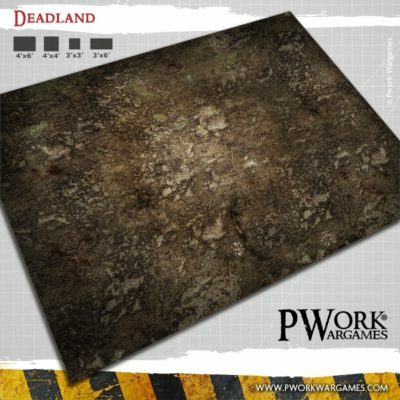 Also included is a set of gridded and gridless 300dpi full size jpgs for poster printing and 72dpi VTT-ready files..
Deadland: Fantasy Gaming Mat from Pwork Wargames! Play your battles an annhilated land, digged from rock debris and scarred by deep cracks in the ground, in the middle of a desolate landscape of earth, stone and dust!